Speaking of the design, the smartphone has a nice slim build with a high screen to body ratio, hence the notch. In comparison to other android phones with a notch, the Oppo F7 has the same rectangular notch smaller. Also, it has a glossy finish owing to the fact it is made of plastic and acrylic. It is available in three colours, the diamond black, solar red and moonlight silver for only the 64GB variant. Going by mid-range standard, the Oppo F7 certainly has an impressive display in store for you. One of its perks is how it nearly covers the surface of the smartphone which gives you an immersive feel on viewing. Besides, you have a crisp and nice colour reproduction with a 2280 X 1080 pixels display that measures up to 6.23-inch in size and a 19:9 aspect ratio. The Oppo F7 has a decent battery capacity keeping things up and running. Powered by a 3, 400mAh Li-Po battery, the smartphone is going to last the 24 hrs timeframe on normal usage before changing will be needed. Talking about charging, there is quick change feature available for a faster battery top up. Being that the smartphone is primarily centered on camera, the Oppo F7 does well when it comes to taking pictures especially selfies. Incorporating AI technology into its camera, the smartphone is able to take nice selfies by identifying 296 facial recognition index to further improve the image of you. This also works in group selfies and extend to the neck and shoulder to give a more uniform look. All of these thanks to the AI Beauty 2.0 and the 25MP front camera. While at the back you have a 16MP sensor that also captures impressive images. As for what is running things behind the curtain, the smartphone goes for a fairly capable mid-range chipset with eight cores. Following suit, the smartphone sports a MediaTek Helio P60 CPU running at 2.0GHz and a Mali-G72 MP3 GPU taking the wheels when it comes to graphics. 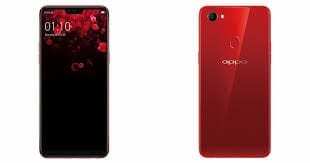 Moving to the storage and ROM of the smartphone, the Oppo F7 has two versions. One having a 4GB RAM and a 64GB ROM and the other with 6GB internal memory and a large 128GB built-in storage space. Both are however, expandable to about 256GB and runs ColorOS 5.0 based on Android 8.1 Oreo. The smartphone is set to be on sale in India come next month for Rs. 21,990 which is approximately 122, 000 Naira. You can also start ordering from a number of online stores for a about that price sometime April.